Natural Import Company - Traditional Japanese foods - Dried Slivered Burdock - 8 oz. 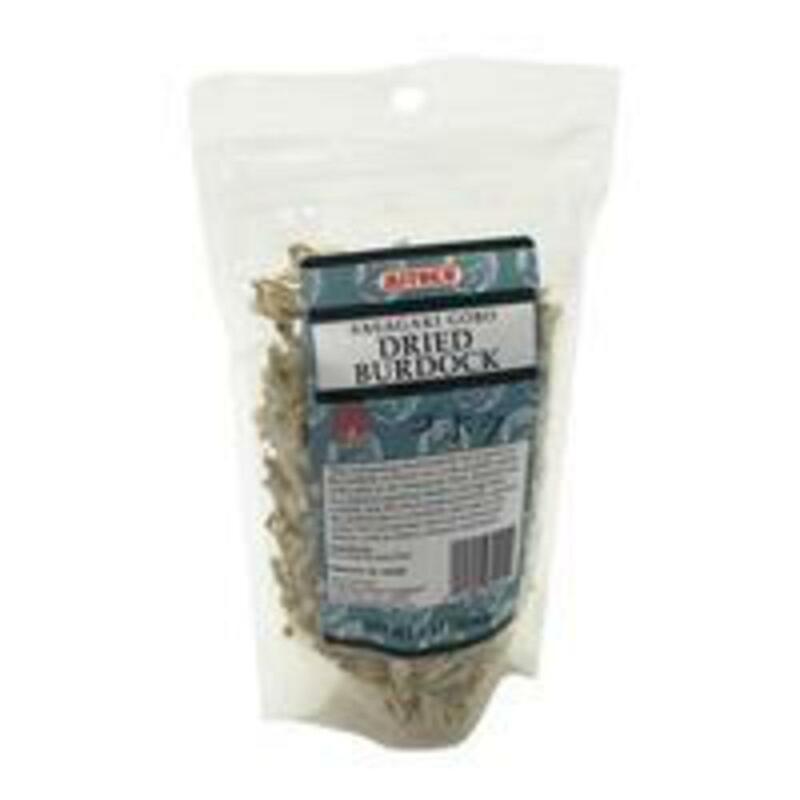 Dried Slivered Burdock - 8 oz. The burdock plant's long, slender taproot has a pleasant, crunchy texture and earthy flavor. Native to northern China and Siberia, burdock (Articum lappa) is cultivated mainly in Japan, where it has been an important vegetable since at least the 10th century. It also grows wild in North America. The plant can be recognized by its very large leaves and spiny burrs, which stick to your pants as you walk in the meadow. This " wild burdock" is very popular with macrobiotic students who feel it is one of nature's most powerful foods.